Stick It! 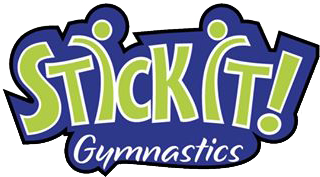 Gymnastics is offering field trips during the year for businesses to bring their children to experience the world of gymnastics. The children will have the chance to participate in obstacle courses, tumble track, trampoline, foam pit, games, gymnastic equipment and much more. If your camp attends regularly then we can progress the children through the basic skills of gymnastics. You must schedule your field trips in advance. We offer 1 hour sessions on Tuesday through Thursday. Call the office at (302) 678-8780 to schedule your field trip. The cost of the field trip is $7 per kid per hour. In order for each child to participate during the field trip these following items need to be fulfilled. Proper clothing: Both girls and boys can wear t-shirt and shorts or leotard. NO JEANS ARE ALLOWED. Hair that is shoulder length or longer needs to be tied back. All socks, shoes, and jewelry must be removed.